Antipyretics in the form of candles, used mainly for the treatment of children, when the medication orally is not possible. The dosage does not depend on the shape issue, therefore, with respect to antipyretic candles operates the same rule as for all other drugs on the temperature – admission through strictly allotted amount of time. If the patient's condition allows, temperature up to 38,5°C to bring down the undesirable. Indications for the use of antipyretics are neurological disorders in anamnesis (possibility of seizures), poor tolerance of high temperatures (vomiting, diarrhea, malaise), shortness of breath, possible development of dehydration, temperature over 39°C. Most antipyretics can be divided into two groups on the active substance: based on the paracetamol or ibuprofen. The action of both substances are equally effective. From the point of view of development of possible side effects drugs are also not different. 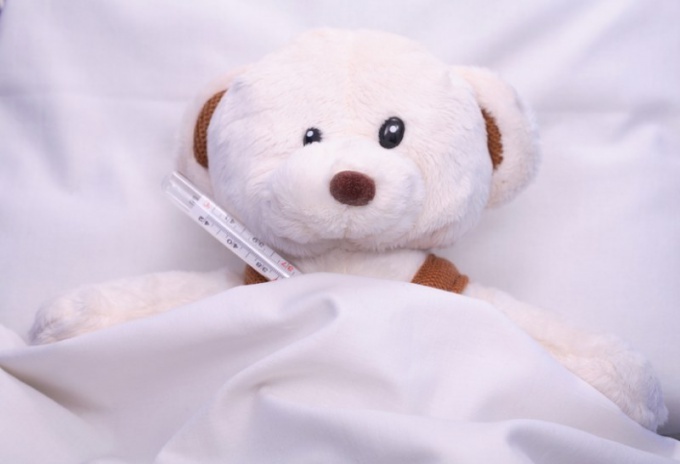 The drug efficacy may depend on the kind of infection causing fever. Candles on the basis of how paracetamol and ibuprofen can be repeated after at least 4 hours, preferably 6 hours, if the patient's condition allows. A single paracetamol is calculated from the amount of 10-15 mg/kg the Maximum daily dose should not exceed 60 mg/kg. the Optimal single dose for ibuprofen is 5-10 mg/kg, and a maximum daily dose equivalent to 60 mg/kg. i.e. the candles on the basis of paracetamol and ibuprofen usually put 4 times a day while maintaining a high temperature or 6 times a day in acute condition, accompanied by loss of fluid and difficulty breathing. Ibuprofen and paracetamol are combined with each other, so if after receiving the first drug for 30-40 minutes do not decrease temperature, and possibly the use of another drug. Antipyretics in the form of suppositories is possible at temperatures below 39°C, since the heat over this level causes spasm of peripheral vessels in the intestines, and hence, the contents of the candle will not be absorbed. In this case, the introduction of antipyretics in the form of syrup or injections. At low temperatures up to 38°C, accompanying the onset of the disease or remission, as well as teething in children, can be used, homeopathic antipyretic candles in the complex therapy. In acute course of the disease, it is recommended to use these drugs are no more than 4-6 times a day at equal intervals of time, the improvement in the – 2-3 times a day. The maximum dose of the substances specified in the regulations and depends on the age and weight of the patient.